Three-dimensional echocardiography is the most recent fundamental advancement in echocardiography with a strong impact on almost all clinical and research applications of echocardiography. After a very successful 1st edition, this book presents the fully revised 2nd edition. Accounting for the marked progress of real-time 3D echocardiography since the 1st edition it covers all clinically important aspects of this fascinating new technology, including a comprehensive explanation of its basic principles, practical aspects of clinical application, new recommendations in recent guidelines and detailed descriptions of specific uses in the broad spectrum of clinically important heart disease. The book was written by a group of well-recognized international experts in the field, who have not only been involved in scientific and clinical evolution of 3D echocardiography since its beginnings but are also intensely involved in expert training courses. 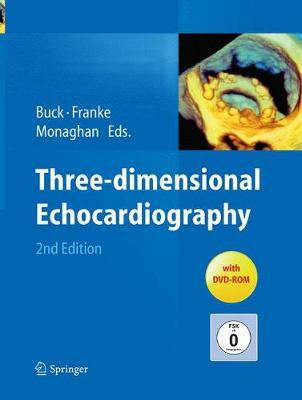 As a result, the clear focus of this book is on the practical application of 3D echocardiography in daily clinical routine with tips and tricks for both beginners and experts, all accompanied by more than 150 case examples comprehensively illustrated with more than 850 images and more than 500 videos available on a DVD. In concert with an in-depth review and comprehensive update of the most recent literature on real-time 3D echocardiography, this book continues to represent an invaluable reference on 3D echocardiography for beginners and expert users.